In this model, how does the system acquire the ability to pass the System Qualities tests? We all know that the non-functional capabilities have to be built in, not tested in. Perhaps the features & user stories are also constrained by non-functional requirements, and have to pass Qualities tests at their own level? Or do you have “features” and “stories” which are non-functional requirements rather than traditional features? 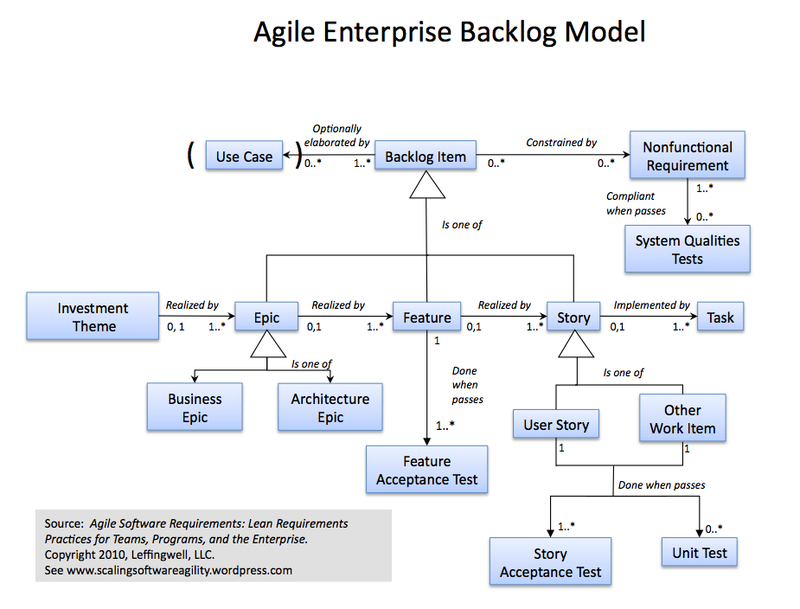 In the big picture model, and in the book, I describe the fact that each backlog (at least team (user story) and program (feature) level) may have its own set of constraining NFRS. They must simply be identified and known to all affected team members as part of the requirements discovery process, as then the teams will have the opportunity and responsibility to design and build a system that conforms to them. The System Qualities Tests are used to assure that, but you can’t wait until such a test fails to “discover them”.